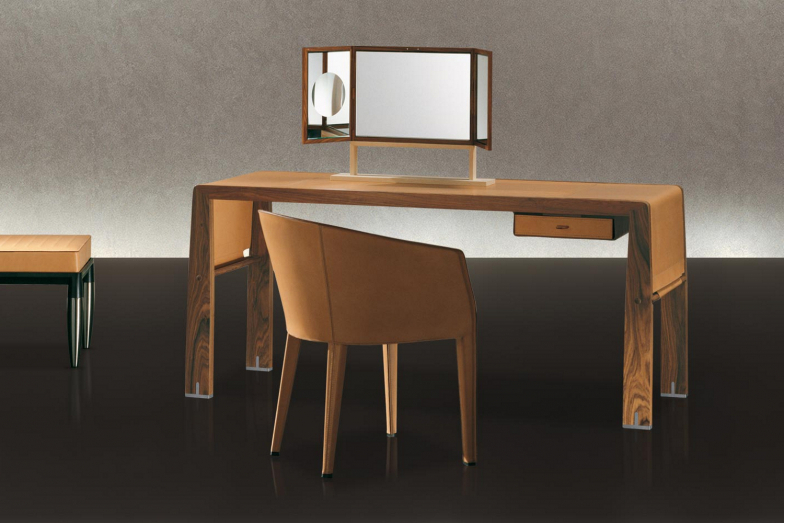 The Eos writing desk, from the Eos family, is a desk designed with natural polished solid maple or wax polished pau ferro structure. 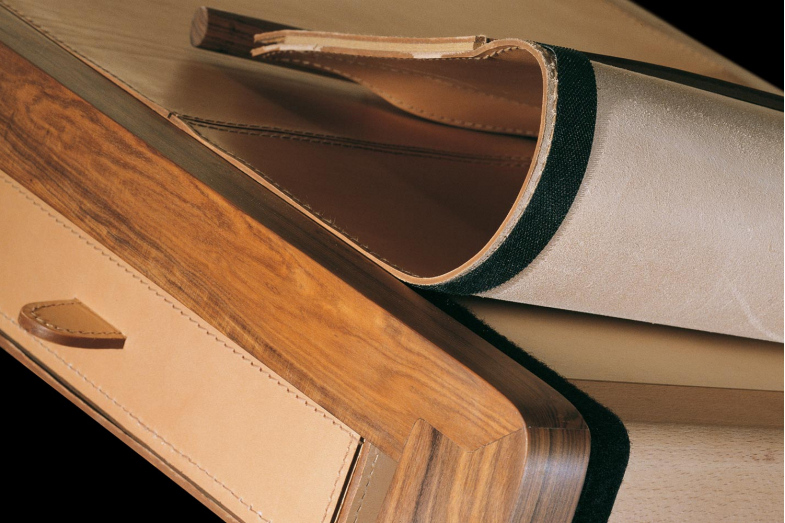 The drawer, in various shades of saddle leather, has a metal insert. The leg tips are in brushed nickel metal. The completely removable covering is available in various shades of saddle leather.